Right now thousands of people have come together for the #ExtraLifeUnited 2018 Conference to raise money for the Children's Miracle Network. The reach online spans millions. Over 11 million dollars directly helping children. "62 children enter a Children's Miracle Network Hospital for treatment every minute. Whether they suffer from common childhood afflictions like asthma and broken bones, or fight bigger challenges like birth defects or cancer, Children’s Miracle Network Hospitals provide comfort, treatment and hope to millions of sick kids. In fact, Children’s Miracle Network Hospitals treat one in 10 children in North America each year. Each year, we identify “Champions” to serve as the face for the millions of children treated at our hospitals every year. These ambassadors spend their year advocating for the charitable need of children's hospitals." This week the heart of this effort beats, and it's beating hard. With over 1.6 million impressions made on social media, and money rolling in to change lives, the conference is the exact representation of a battle won. Today was the first round for the extra life teams to compete. 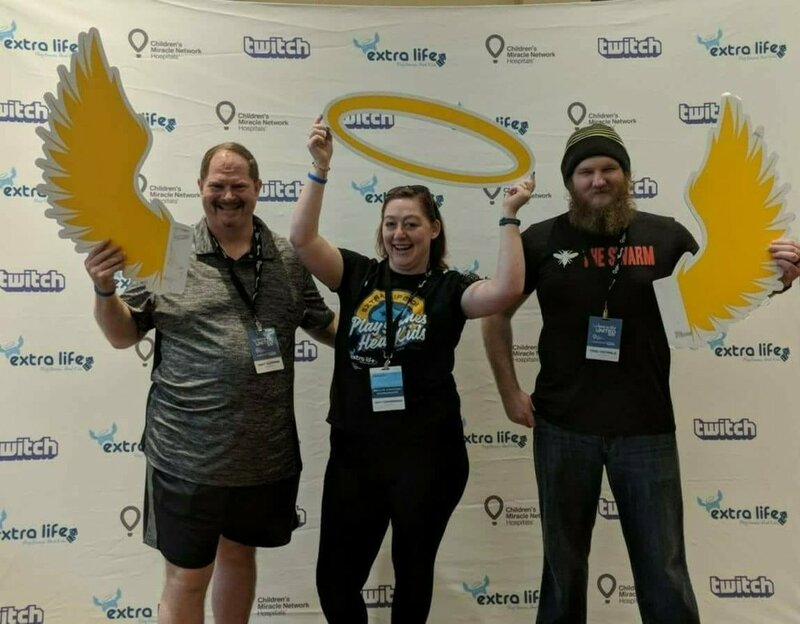 Team Twitchclub, (who are a group of like minded gamers devoted to having fun, hanging out together, supporting each other, and raising as much awareness as we can for Extra Life!) are currently competing for their piece of the 150K prize for their area hospital. Game on team! Updates this weekend!